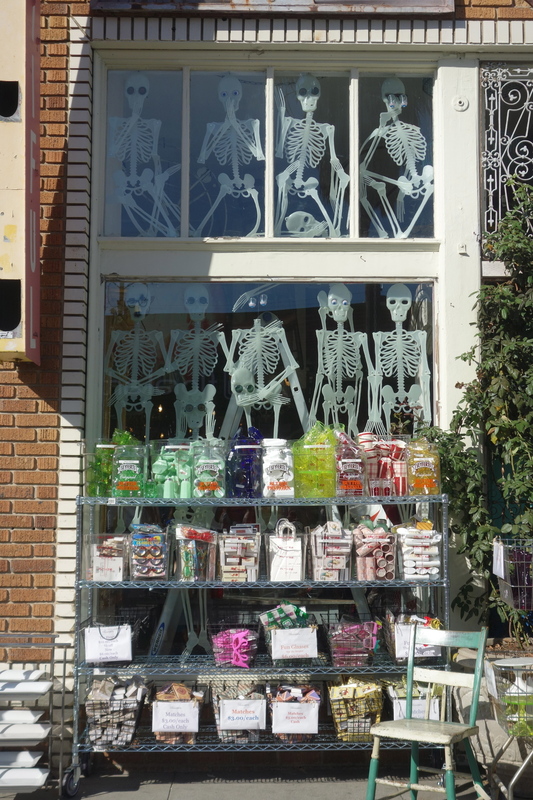 Halloween tricks and treats on display at the Bountiful vintage shop on Abbot Kinney. It was a perfect summer day to say hello to fall. The 29th annual Abbot Kinney Festival, always held on the last Sunday in September, drew thousands of visitors to Venice for an afternoon of exploring artisanal crafts, live music and jam-packed beer gardens, as well as several newly-debuted shops and restaurants on the ever-evolving boulevard. Marine Layer, a 100 percent made-in-California apparel shop, magically transformed its dusty construction zone into a modern bohemian outpost just in time for the fest, officially opening on Friday. Next door, Pork Belly's BBQ patrons lined up for chopped brisket and pork belly sandwiches, with cheesey slop tots on the side, from the barbecue nook that opened in July. And Salt Air, Abbot Kinney's new seafood darling, which opened in June, hosted a good old fashioned lobster bake at a pop-up picnic area just beyond the Kogi and Dogtown Dogs food trucks. 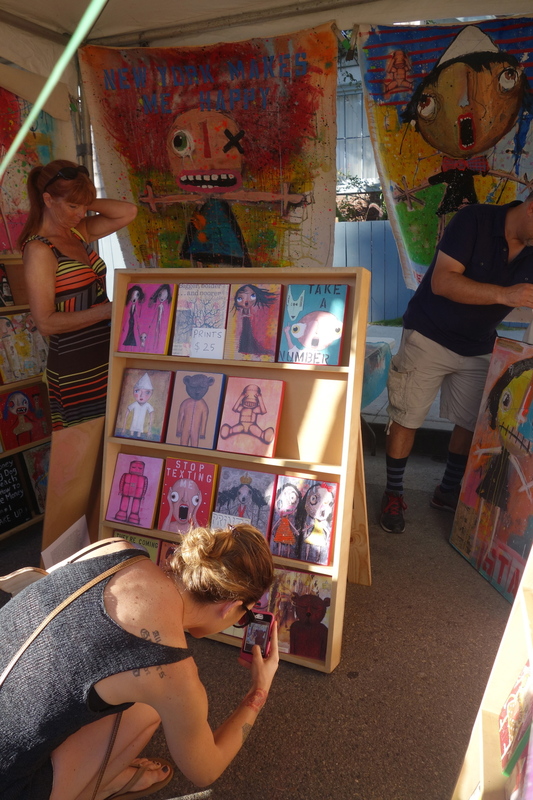 Local artists, jewelry makers and T-shirt screen printers were mixed in with vendors from all over Southern California. We were excited to peruse the gallery of familiar bug-eyed characters from Reza Kassai, an artist who we first met in 2008 when he sold his colorfully haunting and humorous mixed-media paintings at the Boardwalk. And we loved discovering the works of Laurie Libman-Wilson, the founder of Studio Penny Lane, a Solana Beach-based jewelry maker who uses actual pennies in her pieces to inspire hope and good luck. Halloween decorations and costumes were also creeping into the display, reminding/ scaring us that the holidays are just around the corner. 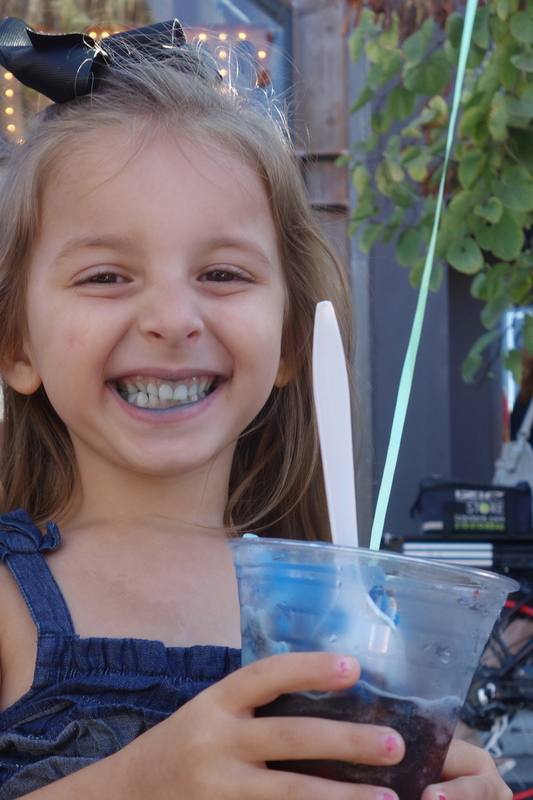 There was plenty for kids to enjoy as well, from electric blue snow cones to the mini Ferris wheel and pony rides in the KidsQuad at Westminster, the festival had all ages covered in the food and fun departments. The non-profit Abbot Kinney Festival Association, which organizes the event to raise funds for various community programs, also announced its community-nominated "Spirit of Venice Awards." 2013 recipients include a posthumous tribute to Oscar Duncan, a musician, youth minister and volunteer at the Venice Boys & Girls Club, who was tragically shot and killed last year; Michael "Rocky" Stenger, a member of the Venice Neighborhood Council; Carol Tantau, the owner of Just Tantau on Abbot Kinney and the president of the Venice Chamber of Commerce; and the Venice Sign Team, which organized efforts to have the Venice sign replaced.